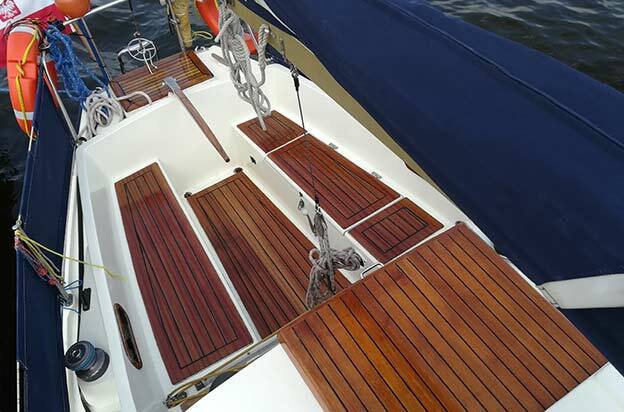 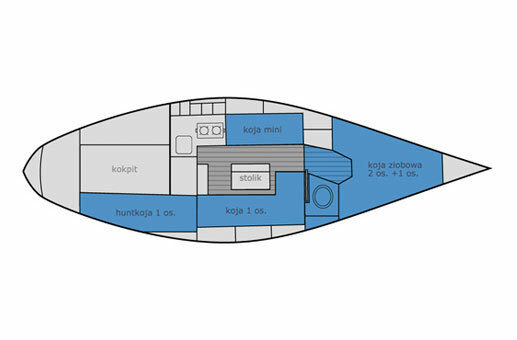 This Defender 27 is a fast ballast boat with a fin keel and a sporty round bilged profile. 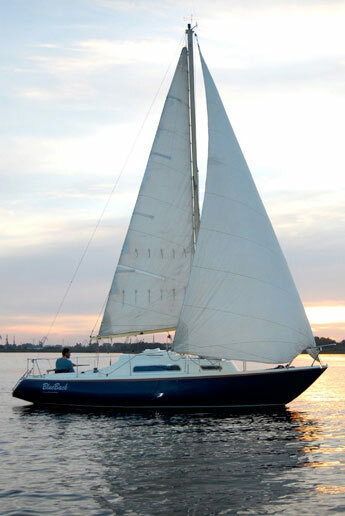 It is equipped with everything you need for a weekend adventure or a longer voyage. 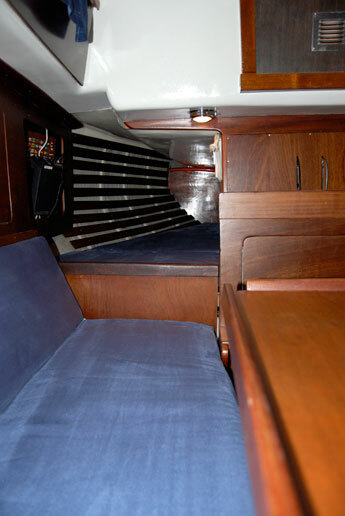 BlueBack comfortably fits and carries crews of up-to-six, with lots of smartly concealed stowage space for luggage provisions and other needful items. 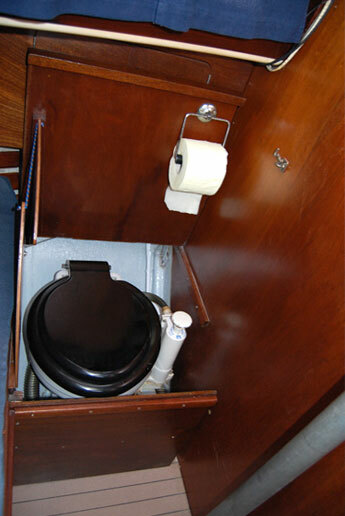 The captain’s cabin at the bow is equipped with a pump toilet The left side of the main cabin offers the galley area with a two-burner cooker and stainless stel sink with an electrically powered water pump. 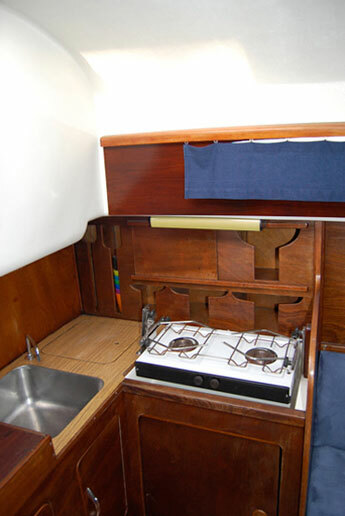 The galley’s sideboards and storage area offer room for pots, pens and dishes. 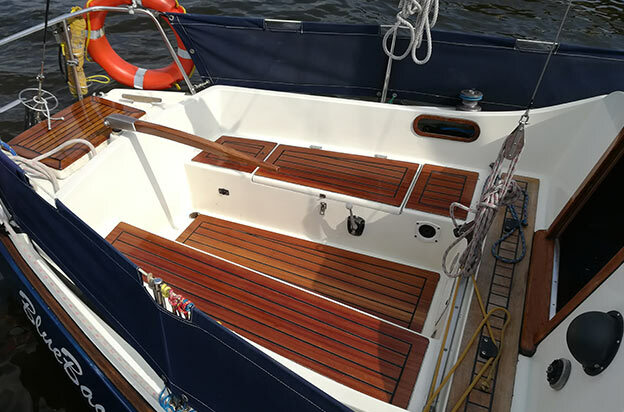 The boat is also fitted with two batteries that handles the exterior and interior lights, the water pump and the engine’s ignition. 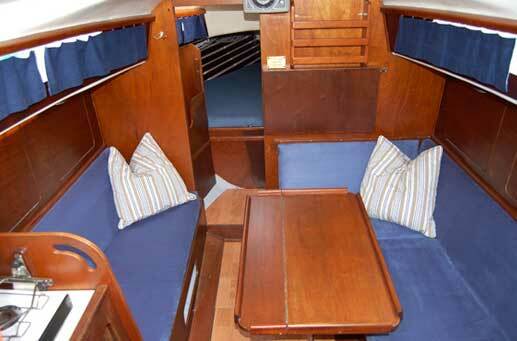 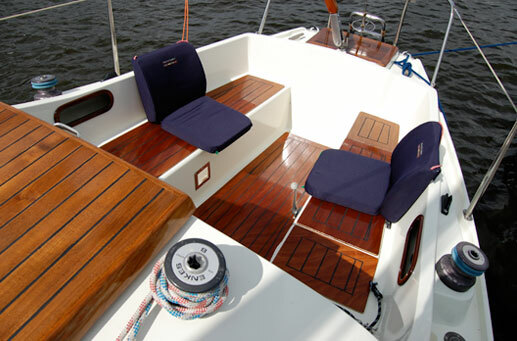 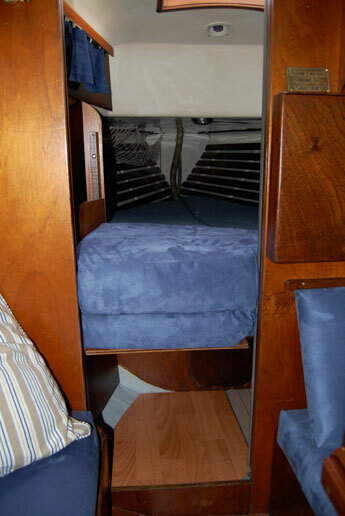 The boat’s heating system is exceptionally efficient and guarantees a cosy evening for all. 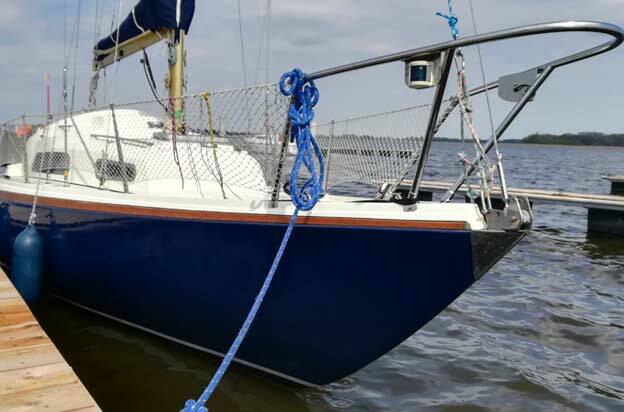 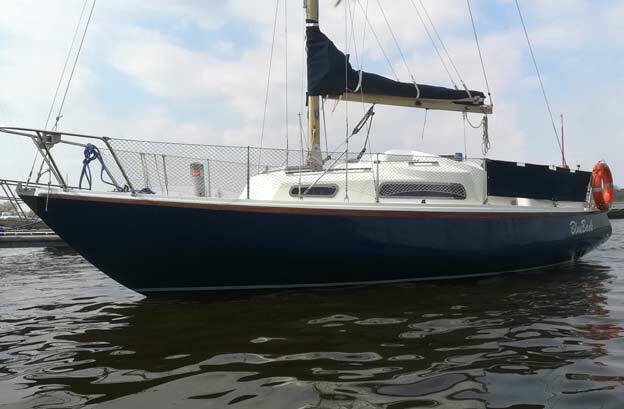 Working jib, storm jib, genoa, mainsail with reefing and lazy bag, bath lader, sink, fully equipped galley, water pump, car refrigerator, pump water toilet, fuel tank 30 l, water tank 140 l, UKF LOWRANCE Link-5 with DSC, compass, echo sounder, GPS Garmin GPSMAP 172C (colour monitor), Tablet-ploter GPS with electronic maps NV Verlag 2017 + holder, 2 batteries and charger, 12V and 220V, MP3 radio, autopilot, gas heating system, 230V heating system, safety equipment, toolbox and maps.